Leonardo da Vinci needs no introduction. The Science Museum's new exhibition does include one, but it's quick and cursory. This is a show that gets straight to the meat. And what a sumptuous banquet it is. Leonardo's notebooks were packed with intricate doodles, showing the Renaissance man's ideas for everything — from catapults to looms to parachutes. To celebrate his 500th birthday in 1952, those doodles were turned into models. The present exhibition gathers together 39 of these contraptions for us to gawp at. Da Vinci, it seems, had a taste for the martial. 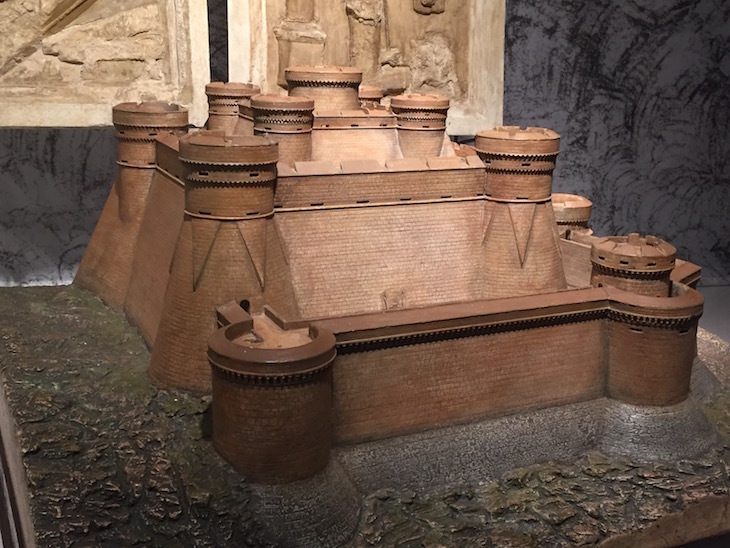 Many of the models show his designs for weaponry or fortifications. 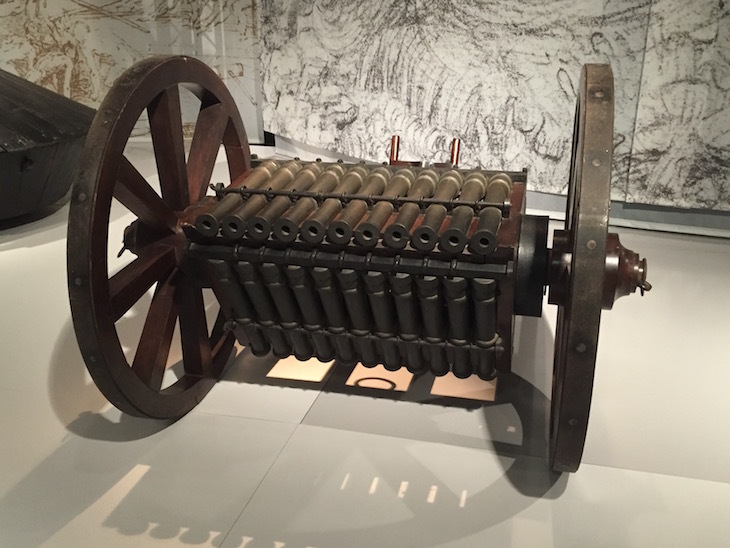 We were particularly charmed by this delightful omni-cannon. The models are well-spaced out, allowing the crowds to move around with ease. This is also a highly interactive exhibition, where you can fiddle with cam-shafts, cogs and springs to your heart's content, then click and swipe your way through various Leonardonic games. The parade of da Vinci gizmos is briefly interrupted by a room of modern stuff. Here we learn how scientists, in the spirit of the Renaissance master, are once again turning to nature for inspiration. Then, it's back to LDV's notebooks for sections on aviation, manufacturing and his later career. The exhibition is pitch-perfect for the family crowd, with plenty for both adults and children to get stuck into. The Science Museum prides itself as being a source of inspiration, and there's plenty here for budding engineers. The only minor niggle is the minimal information on each invention. Would that parachute have worked? 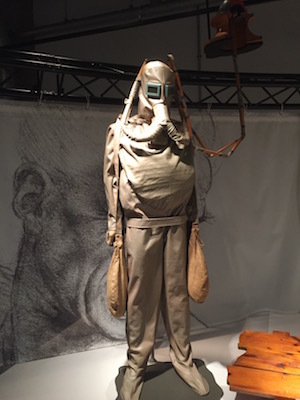 Did anyone ever try the diving suit (pictured)? Is Michael Bay going to buy the rights to that rotating cannon? We're never told. Still, barnstorming stuff from the Science Museum, on a bit of a roll at the moment with the five-star Cosmonauts exhibition still showing. And we hear they've got a blockbuster about humanoid robots coming up later in the year. Leonardo would surely approve. 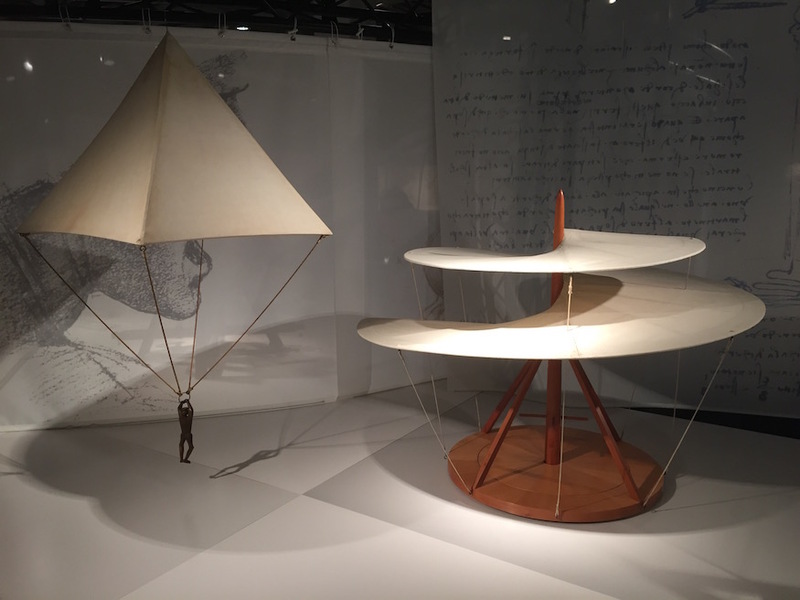 Leonardo Da Vinci: The Mechanics of Genius is at the Science Museum, Exhibition Road, South Kensington until 4 September 2016. Tickets £10/£8.